The district has established partnerships with Lone Star College, Sam Houston State University and others to create more opportunities for students to take dual-credit college courses and to obtain industry-recognized certifications. 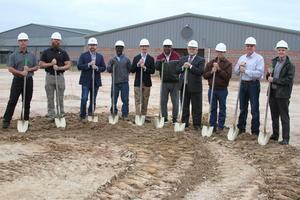 The new CTE building will include a health science facility that has the capacity to incorporate college-level studies. A new culinary arts program is also planned, as well as industrial welding, manufacturing, and other certification courses. CTE/Special Programs Director Jeff Eichman has scheduled a series of meetings entitled "Your Future, Your Way" to give an update on the CTE building project and to inform students and parents/guardians of the new programs of study that will be available. Current juniors and seniors will also get information on resources they can use now to help them make informed decisions on how to pursue their post-graduation goals. Each “Your Future, Your Way” meeting is grade-specific, starting with the session for freshman on Thursday, Jan. 31, followed by the sophomore session on Feb. 7, junior session on Feb. 21, and the senior session on Feb. 28. Each meeting starts at 6:30 p.m. in the high school cafeteria. A "Your Future, Your Way" session for Lincoln Junior High 8th graders and their parents/guardians is set for Monday, March 4, at the LJH cafeteria at 6:30 p.m.
For more information, contact Jeff Eichman at 936-653-1175, or by email at jeichman@cocisd.org.